Should Draza Mihailovic’s war-crimes conviction be quashed ? The testimonies of Slobodan Markovic, Veselin Djuretic, Kosta Nikolic and Bojan Dimitrijevic are all in support of the overturning of Draza Mihailovic’s conviction as a traitor and war-criminal. They put forward a combination of arguments: firstly, the opinions of foreign observers and others sympathetic to Mihailovic; secondly, allegations of procedural irregularities that worked to Mihailovic’s disadvantage; and thirdly, attempts at refuting specific pieces of evidence accepted by the court. The first of these carries the least weight. Slobodan Markovic devotes much space to opinions of foreign governments (British and US) and their agents that Mihailovic was innocent of the charge of collaboration with the Germans and Italians. Naturally, such opinions should be considered by historians, but they are not a reason to question a judicial verdict – they are simply opinions of interested parties. We do not know how these agents would have fared had they testified, but they are unlikely to have resulted in an unambiguous endorsement of the pro-Mihailovic narrative. Markovic mentions Colonel William Bailey as one such source. Yet Bailey was one of the sources for Churchill’s conclusion that Mihailovic was collaborating with the Italians. According to Bailey’s report as referred to by Churchill, Mihailovic had given a speech to his troops on 28 February 1943 in which he had stated that ‘As long as the Italians remained his sole adequate source of benefit and assistance generally, nothing the Allies could do would make him change his attitude towards them.’ This fact is not mentioned by Markovic, Djuretic, Nikolic or Dimitrijevic. Markovic mentions William Mackenzie’s 1947 report, which cites the very high Yugoslav wartime casualties, apparently in order to vindicate not only Mihailovic, but even the open collaborator Milan Nedic – presumably in opposition to the high-cost resistance strategy of the Partisans. But this argument amounts to a defence of collaboration, not a denial that it occurred. Markovic cites Peter Solly-Flood’s opinion that Mihailovic would experience a ‘totalitarian trial’ [totalitarno sudjenje]; this is a political judgement that cannot serve to overturn a judicial verdict. If it did, then implicitly all war-criminals convicted by Yugoslav courts under the Communist regime should have their convictions overturned – Ustashas, Nedicites and Germans alike. For example, German General Alexander Loehr was convicted and executed in 1947 by the same judicial system that convicted Mihailovic. 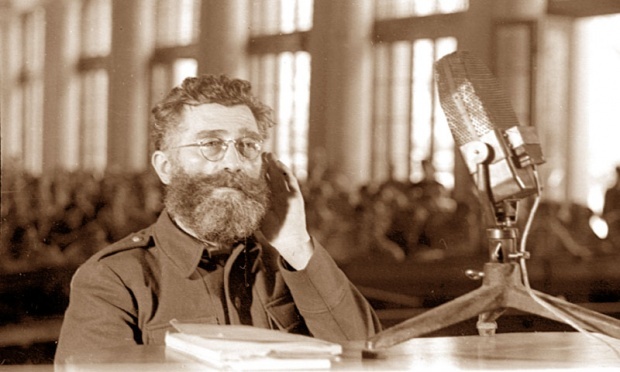 High-ranking Nazis were tried by the victorious Allies via the International Military Tribunal at Nuremberg, which was undoubtedly a case of ‘victors’ justice’ and in which Stalin’s totalitarian regime participated. All these convictions cannot simply be dismissed. Kosta Nikolic claims that the Mihailovic trial was ‘fixed [montiran]’ He argues: ‘Ako uporedimo da je optuznica imala 15 tacaka, a da je Mihajlovic osudjen po 7 tacaka, to ukazuje da je vec u toku sudjenja otpalo 8 tacaka za koje Mihajlovic je optuzen.’ [‘If we consider that the indictment had 15 counts, and that Mihailovic was convicted on eight counts, that shows that already during the trial eight counts upon which Mihailovic was indicted had failed.’] It is unclear how Nikolic arrived at these figures, but if the court failed to convict Mihailovic on over half the counts, it suggests that the trial was not fixed (or at least not wholly fixed). Nikolic and Dimitrijevic both discuss the 1943 agreement on collaboration between the Partisans and Germans. Yet this is irrelevant: the question here is not whether the Partisans were hypocritical or whether they also collaborated, but only whether Mihailovic was guilty (equally, the fact that the Allied powers were themselves undoubtedly guilty of war-crimes does not invalidate the conclusions of the Nuremberg tribunal). Veselin Djuretic’s testimony is the least convincing, amounting to little more than a political polemic. He counterpoises the ‘Etnojezicki odnosno zapadnoevropski sasnovano, [model], koji je personifikovao Gen. Mihajlovic i AVNOJevsko koji je razbijao srpske zemlje i potkopavao Jugoslaviju u sustini separatisticko retrogradnog velikohrvatskog i veliko albanskog, koji model je personifikovao Josip Broz Tito.’ [‘The ethno-linguistic or West-European-based model, which Gen. Mihailovic personified, and the AVNOJ model that fragmented the Serb lands and buried Yugoslavia – in essence separatist, retrograde, Great Croat and Great Albanian – personified by Josip Broz Tito’] Such unserious propagandistic testimony cannot have any bearing on whether Mihailovic’s conviction was sound or not. Bojan Dimitrijevic provides the most serious case for questioning the conviction of Mihailovic, insofar as he focuses in turn on specific points of evidence in the case. Yet he omits key details that do not support his viewpoint. Thus, in discussing Mihailovic’s meeting with the Germans at Divci near Valjevo on 11 November 1941, Dimitrijevic omits to mention that Mihailovic asked the Germans for ammunition with which to fight the Partisans. Yet this is recorded in the transcript of Mihailovic’s speech at the meeting, published in the collection of documents which Dimitrijevic and Nikolic themselves edited (‘Rat i mir djenerala – Izabrani ratni spisi’, Srpska rec, knj. 1, str. 213). Dimitrijevic correctly notes that the Germans initially viewed Mihailovic as an enemy with whom they were unwilling to collaborate, but fails to note that the reverse was not true: Mihailovic viewed the Germans as his enemies in the long term, but in the short term he was willing to collaborate with them against the Partisans; this collaboration was vetoed by the Germans, not by him. The fact that Mihailovic’s Chetniks at times resisted the Germans does not mean they were not guilty of collaboration at other times. Dimitrijevic admits that following the defeat of the uprising, ‘part of Mihailovic’s organisation in Serbia’ was ‘legalised within the framework of Nedic’s armed detachments’ and that ‘Mihajlovic tolerated this legalisation’; he admits also that Mihailovic’s commanders outside Serbia engaged in ‘tactical collaboration’ with the occupiers’ forces. Dimitrijevic therefore does not deny the collaboration; he simply argues that the Chetnik motives were legitimate. However, Dimitrijevic does not discuss the German-Chetnik agreements in Serbia, for collaboration against the Partisans, reached on the basis of Field Marshal Maximilian von Weichs’s 21 November 1943 directive. They involved several of Mihailovic’s top officers, above all Vojislav Lukacevic, Nikola Kalabic, Jevrem Simic and Ljuba Jovanovic-Patak. Simic, as the overall inspector of Mihailovic’s Supreme Command, renewed his agreement with the Germans on 17 January 1944. The agreement specified that the Mihailovic forces would receive ammunition and medical supplies from the Germans. Three days later Mihailovic ordered the buying of weapons and munitions from the Germans. These events are described in Kosta Nikolic’s book ‘Istorija ravnagorskog pokreta’ (Srpska rec, knj. 1, str. 419-423); Nikolic claims the agreements were ‘an expression of necessity [izraz nuzde]’. Altogether, Dimitrijevic’s and Nikolic’s testimonies and published work support the view that Mihailovic’s commanders across Yugoslavia collaborated with the Germans, which Branko Latas expresses in his own testimony. These crimes – agreements with the occupiers for joint military action; receiving arms and assistance from the occupiers; and ‘legalisation’ within the framework of the occupation – were all cited in the court’s guilty verdict against Mihailovic. Finally, Mihailovic was convicted because he ‘raspirivao nacionalnu i versku mrznju i razdor medju narodima Jugoslavije, usled cega su njegove cetnicke bande izvrsile masovne pokolje hrvatskog, muslimanskog kao i srpskog stanovnistva koje nije prihvatilo okupaciju’ [‘incited national and religious hatred and discord among the peoples of Yugoslavia, as a result of which his Chetnik bands carried out huge massacres of the Croat, Muslim as well as Serb population that did not accept the occupation’]. This very serious count of the conviction was not challenged by any of the testimonies discussed here.